Budgeting is to personal finance what diet & exercise is to health. If you aren't deliberate​ about where your money goes every month, the chances of you getting out of debt, building an emergency fund, and preparing for retirement properly are slim-to-none. Just like the chances of you staying skinny and getting a six-pack while eating whatever you want and not exercising are also slim- to-none. 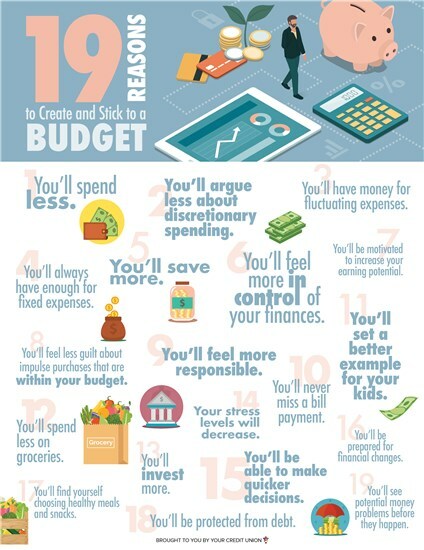 ​Just as technology as made many daily tasks in our lives easier, budgeting is no exception. Gone are the days when budgets should conjure images of notebooks, pencils, and envelopes. Available, for free, are online tools that will aggregate transactions from all​ of your bank accounts, allow you to categorize and track them, and provide built in analytics and goal-setting so you always know where you're at with your finances. ​Couple this with mobile apps and smart phone notifications, these E-Budgeting services are changing the way people monitor their finances and budget. They can track bills, cash flow, net worth, and all sorts of other useful items. One of the best out there is Mint.com which is owned by Intuit, the same company who owns TurboTax. ​Note that you will have to allow the services to have access to your online banking credentials for whichever institutions you would like them to aggregate.